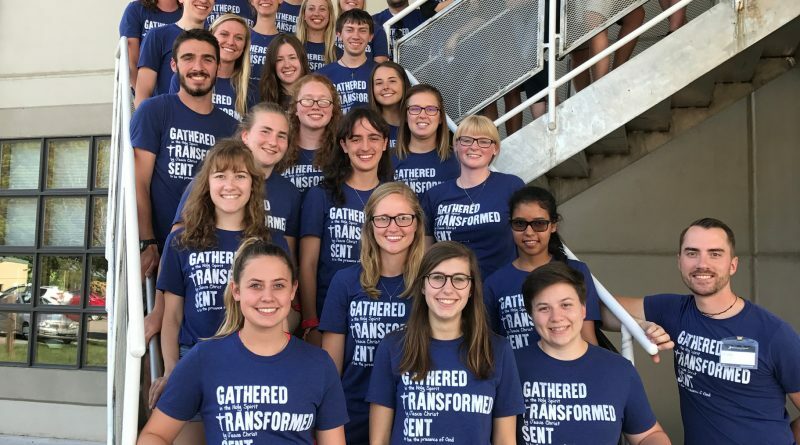 AMES — This fall, St. Thomas Aquinas Parish and Catholic Student Center in Ames, Iowa, formally launched a new endowment campaign to provide permanent support for campus ministry and outreach at Iowa State University. Archbishop Jackels is providing support as one of the four spiritual co-chairs. 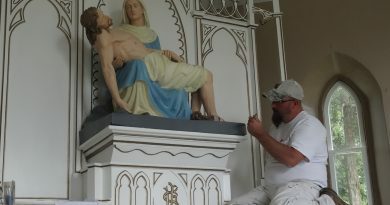 When Father James Supple establish­ed St. Thomas Aquinas Parish and Catholic Student Center (STA) in 1947, it was unique in Iowa. With 75 families and 1,154 students, it was both a parish and a student center. After 70 years, it has grown to include more than 850 registered families and provide a home for the 8,000 Catholic students at Iowa State University (ISU). 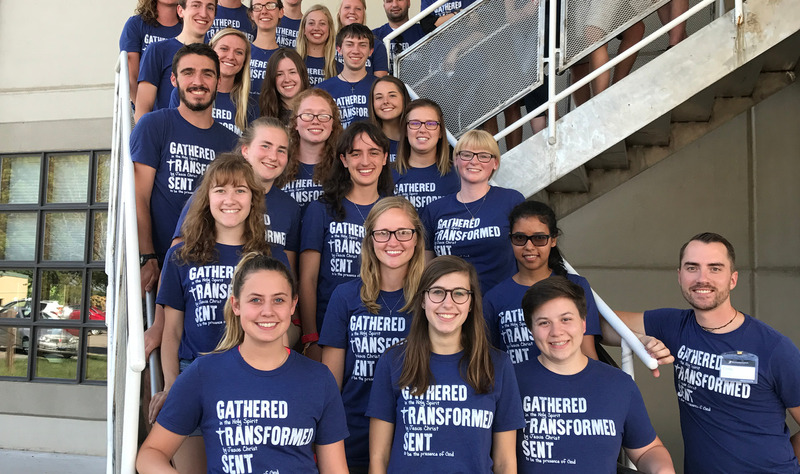 Now serving the largest university in Iowa (ISU has grown 44 percent in the past 10 years), and with more Iowa residents than any other school in the state, STA’s campus ministry has struggled to keep pace with the growth. Even with the growth, Father Jon Seda noted that St. Thomas’ needs are not in bricks and mortar, but in outreach and evangelization. “Pope Francis often reminds us, it is not enough for a church to have a nice building, open doors, and just hope that people come. No, we must go out, go out into our community and onto campus, go out and reach more for Christ,” he said. To support this effort, St. Thomas Aquinas publicly announced a major endowment campaign to increase the Msgr. James A. Supple Endowment to better support campus ministry and outreach efforts. “Catching Souls: Our Catholic Mission” has a total fundraising goal of $5 million; $3 million has already been pledged. FOCUS (Fellowship of Catholic Univer­sity Students) has over 600 Catholic campus missionaries on 130 campuses. Founded in 1998, FOCUS missionaries go out onto campus and invite students to get involved in weekly Bible studies where students can delve into the mystery of Christ’s love found in sacred Scripture and form small-group communities of fellowship and support, grow in discipleship and reach out to others in service. Campaign co-chair Tom Stark noted that alumni around the state and around the country are excited about FOCUS and have been supportive with pledges and volunteer efforts to have missionaries at ISU long into the future. “They are stepping up,” he said, and alumni events are planned around Iowa, and in cities from Phoenix to Minneapolis, and areas from Southern California to Florida. To learn more visit http://staparish.net/catching-souls. 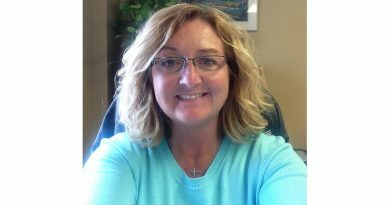 Leisz is development director for St. Thomas Aquinas Parish and Catholic Student Center.